Are You Happy With Your SEO Ranking? 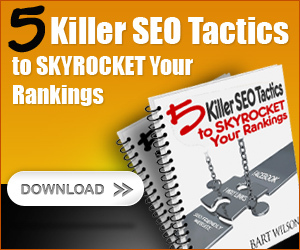 Would you like higher Real Estate SEO rankings? How about 10,000 1-way SEO links pointing to your site? We've been featured in BusinessWeek. Everyone of our customers ranks page one on Google. If you woke up a few weeks ago and noticed your website disappeared off Google's page one... you're not alone. More than 700,000 websites were zapped by Google's latest round of algorithmic changes. PANDA has several rounds of updates and the finishing touch was Google's PENGUIN Update which started the beginning of Google's enforcement of their famous Webmaster Guidelines. In today's on-line business ecosystem, it's getting harder and harder to stay on top of the changes that impact your visibility and ranking on the search engines. Template websites from MonsterTemplates.com and others like Real Estate Webmasters, Hoop Jumper or Point 2 Agent are simply NOT the way to go anymore. The old axiom, you GET what you pay for applies here. Short cuts like buying 10,000 links from the link farms are the fastest way to get you on Google's radar screen and it's also the fastest way to get them to drop you from their natural page search results. More than 1 million websites were beaten up pretty badly in 2010 and again in 2011 by Google's PANDA updates. As of May 2012, Google's Penguin update went even further and began enforcing it's Google Webmaster Guidelines. If your website got the boot and disappeared off Google... this information over the past few weeks, then sign up and get this radio show PODCAST. FREE PODCAST from the Real Estate Show. We'll send you the link to the Real Estate Show Podcast and you can listen to show and better understand Google's Penguin. What Should I Budget for Real Estate SEO Costs? Depending on your market, meaning simply: If you're a REALTOR® in a high traffic, over the top competitive market like Miami Real Estate, you are going to pay 50% more than if you were a REALTOR® in Albuquerque, NM. There are only (10) positions on the first page of Google. So it goes without saying that a search for the phrase "albuquerque real estate" is going to cost a lot less for real estate search engine optimization than the phrase, "miami real estate." Why? Google is only going to have (10) natural search positions for real estate search results for any market. So it's not surprising to see SEO costs for "miami" run you $5,000 - $9,000 a month whereas the same search term for say "homes for sale in albuquerque," would run anywhere from $2,100 - $3,000 a month. Pay Per Click can be summed up in one word: EXPENSIVE. Do the math. Suppose you're a REALTOR in San Francisco and you decide to purchase several search terms. 1.) san francisco real estate, 2.) san francisco homes for sale and 3.) san francisco real estate agents. All of them are top (3) search phrases. But if you go to Yahoo!, (formerly Overture) or Google's AdWords you can shell out over $8,000 a month in Pay Per Click charges. TIP: Before you spend one dime on Pay Per Click, get this free report: The 5 Things You Must Do Now so you can learn what terms to use and what Paid search programs will help you increase your leads even on a modest monthly budget of $500 or less. Outstanding Real Estate SEO and Internet Marketing Results. Not pretend. Not maybe. Not someday or eventually. VPiX™ delivers SEO Results period. Many of our clients have been burned or lied to by other so-called Real Estate SEO guru's. It's unfortunate, but it happens alot. Which is why we're a great shoulder to cry on and we'll listen to your story and we'll outline a way to mop up the mess and get you back on track. VPiX™ only does one thing. Real Estate Marketing. Bob Garfield of Advertising Age labelled VPiX™ an SEO Rockstar and one of our first SEO clients, Santa Fe Properties was featured in Business Week in 2004. That client is still today, page one on Google for the keyword search phrase: santa fe real estate. Real Estate Search Engine Optimization doesn't have to be expensive. If you're not sure about your SEO Guru or if you'd like a 2nd opinion, click here, fill out this short profile and let us know how we can help. YES I WANT TO SAVE MONEY! Buying One Way Incoming Links? Be careful when you buy one-way (incoming) links to your Website.